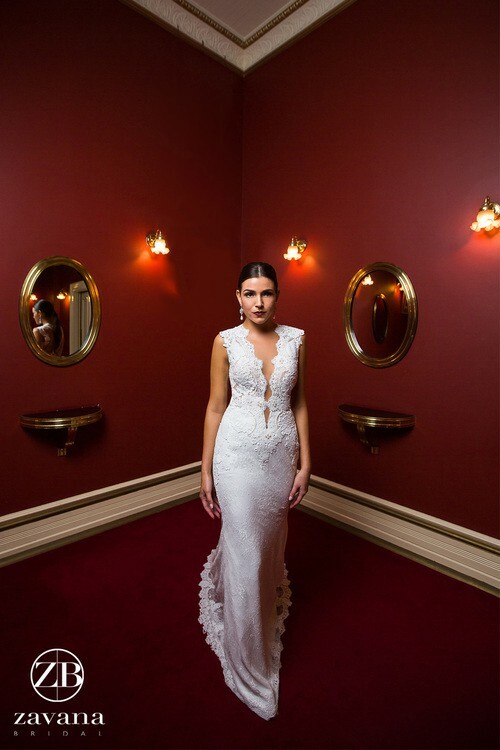 The ZB119 is a true inspiration for any young bride, created by Zavana bridal an up and coming Australian brand! This is a very modern version of lace, with leafy embroidery all over the dress! It has a low front (which could be filled in by a seamstress) however most brides really like the look. It's light, and easy to move in! Ideal for a destination wedding as it can roll up in your case! It has a chapel train with lovely lace edging. The back has illusion netting, with buttons! truly lovely!